REGISTRATION FOR THIS EVENT IS CLOSED! PLEASE CALL THE OFFICE FOR ANY QUESTIONS! 409-755-0554 THANK YOU! Lumberton TX Chamber of Commerce shared a post. 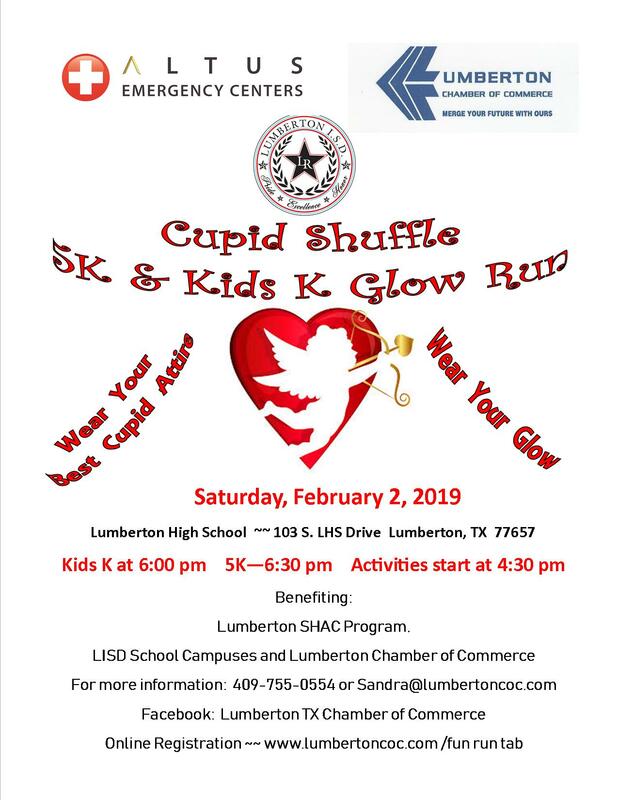 Lumberton TX Chamber of Commerce updated their cover photo. Go by and see Rex at Harris Jewelers. The goals of the Lumberton Chamber of Commerce are to Promote the cultural, educational, civic, commercial, industrial and general development of the Lumberton area and to aid in the economic development of all legitimate enterprises designed for the improvement of the area. To promote the cultural, educational, civic, commercial, industrial and general development of the Lumberton area; To aid in the development of all legitimate enterprises designed for the improvement of the area; To stand and to work for area harmony; To be non-partisan and non-sectarian, and to take no part in nor to lend its influence or facilities, either directly or indirectly, to the nomination, election, or appointment of any candidate or person for public or political office. • You will have the opportunity to network with community leaders. • You will gain recognition within the business community. • You will gain exposure by being listed on the Ambassador Page of our website. • Business growth and tourism throughout Hardin County. • Referral of our members and their services to clients. • Providing member information in welcome bags for new community members. • Ribbon Cutting Ceremonies for our members. • Sponsors a Welcome Ad in The Hardin County News & The Silsbee Bee. • Listing all members and their web address on our web site. • We offer an opportunity for our members to be more involved with the chamber through our Ambassador Program. • We can help your business by directing you to free services. • We work with City, County, and State Officials for the good of our area. • We send our members a quarterly newsletter of upcoming events. • We host quarterly Mixers to promote business exchange among members. WE TRULY WANT YOUR BUSINESS TO SUCCEED!